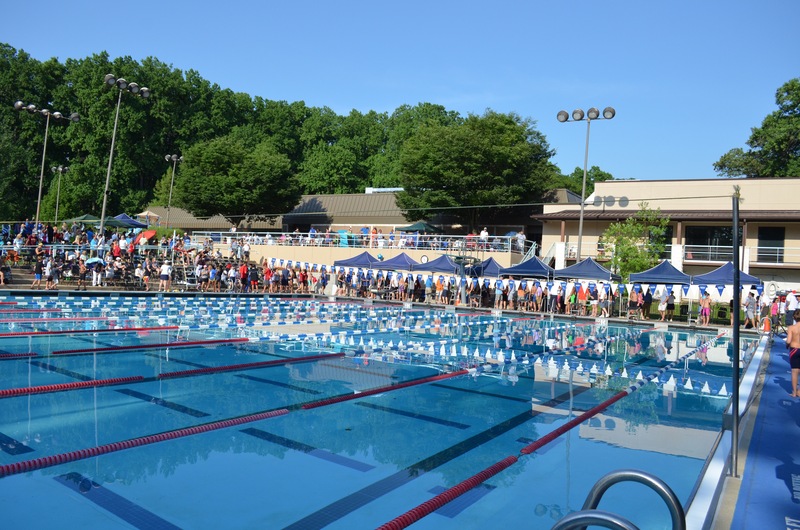 The Montgomery County Swim League (MCSL) held its 42nd annual Coaches Invitational Long Course Meet at the Rockville Swim and Fitness Center on Tuesday, July 12, 2016. Not familiar with the Coaches Long Course meet? Here’s the history behind it. 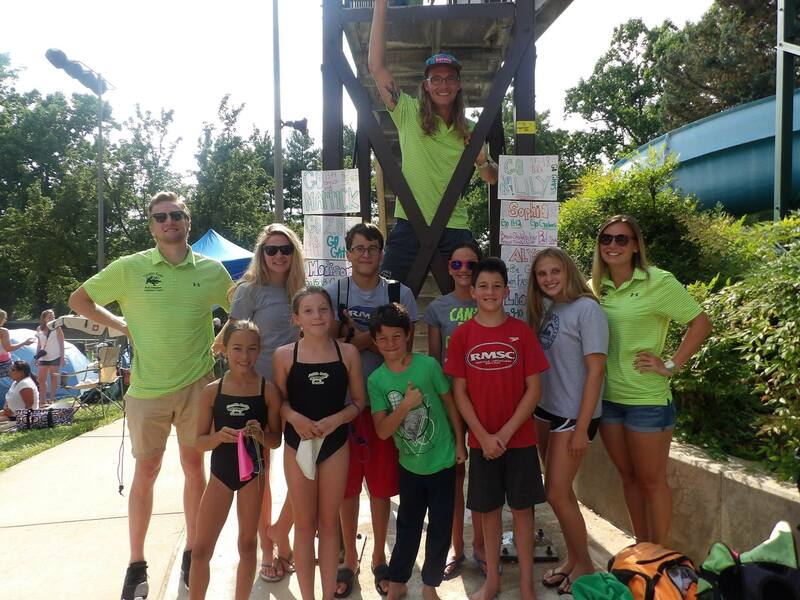 In short, a group of MCSL coaches started it in 1964 independent of the league to give swimmers more exposure to long course (50 meter pool) competition, and MCSL adopted the meet in 1974. The meet includes the same 46 individual events at a regular MCSL dual meet except the distances are doubled (i.e., boys 9-10 50 freestyle in a regular Saturday dual meet becomes a 100 freestyle event at Coaches). The 8 fastest MCSL swimmers in each event (based on the results of the first 3 Saturday meets) qualify for this meet. It also is a USA Swimming (USAS) sanctioned meet, meaning the times that kids post at the meet can be used to qualify for USAS invitational meets. Here are the results from this year’s meet. And below are some highlights from the meet. Boys 15-18 200 IM: Bouke Edskes (18 – Rockville) – 2:08.17. This was the oldest record to fall (from 1986) and by exactly one second! Girls 15-18 200 Breast: Jaycee Yegher (17 – Darnestown) – 2:35.26. Jaycee broke her own record here. 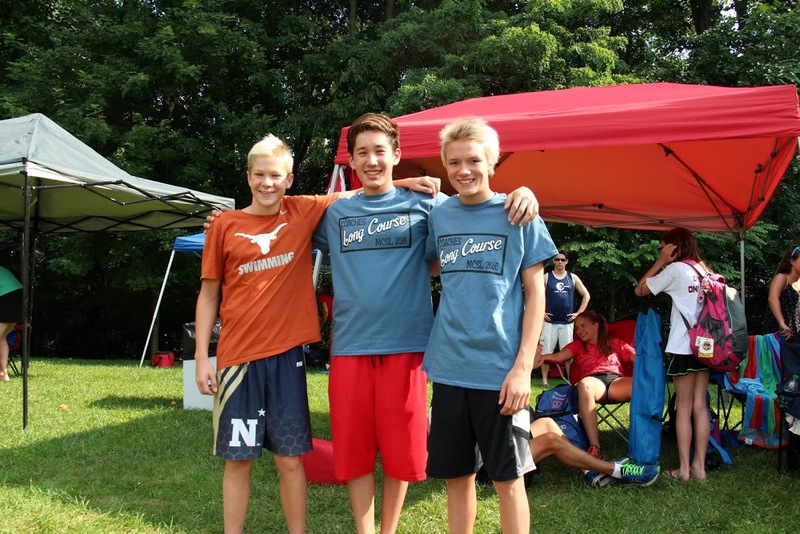 Clarksburg Town Center made its debut at Coaches Long Course this year. Minjae Haughton (8) qualified for the girls 8 and under 50m Breaststroke and came in 7th place. Her entire team is very proud of her. Kate Hallmark (12 – Bethesda): Girls 11-12 100m Backstroke; Girls 11-12 100m Butterfly. Kate fell 0.04 seconds short of breaking Phoebe Bacon’s 100m fly record. The following swimmers placed in the top 3 of their events despite being on the low end of their age group. 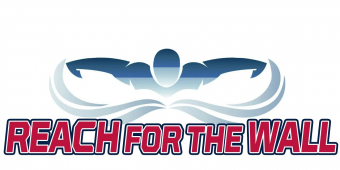 We feel a special shout out is in order for all of the 8 and unders who swim this meet. Most have never swam more than a 25 or competed in a long course pool. Most have never seen a long course pool. We tip our hat to each of them, bravery at it’s finest! Well done our little friends. No one likes to see a kid get disqualified at any meet, especially when it is a false start. The meet referee who must inform the swimmer who has just false started to step down and not swim has a difficult job indeed. As spectators, it’s even worse – we don’t want to play by the rules, we want the kid to swim! Some who witnessed the false start last evening thought the alternate should swim – creating an empty lane seemed unfair to the outside swimmer who was racing an empty lane as well as the alternate, if s/he was present and ready to swim. Just because we are curious, we would love it if someone could shed some light as to the rules that govern when an alternate can swim. In the girls 15-18 200 free, there were two scratches after the top 8 were seeded. One would think the first and second alternate would get in, but Olivia French (16 – Kentlands), the 2nd alternate, chose not to swim. So, both Audrey Tirrell (15 – Manchester Farm), the 1st alternate, and Samantha Bischoff (18 – Germantown), the 3rd alternate, got to swim. Sam was scheduled to work when she got the call. Mom and Dad left work and Sam found someone to cover her life guarding shift. 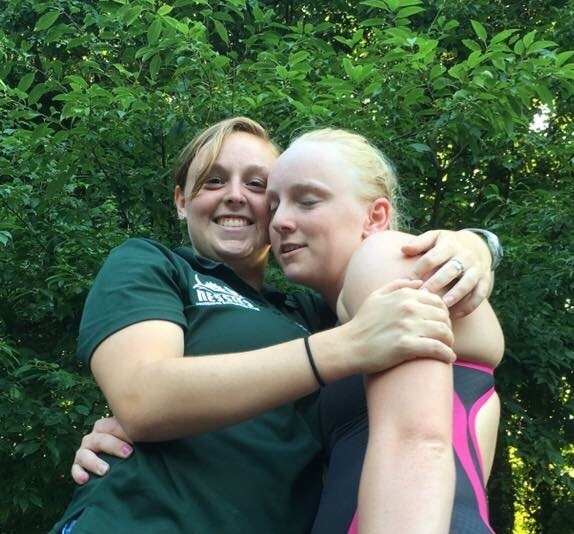 As a graduating senior, Sam’s goal this summer was to swim at Coaches LC, something she hadn’t done before. She put her heart into every race but fell short, placing 11th in overall rankings. The swim gods were on her side, and she not only competed in her first Coaches Long Course but placed 5th overall with a lightening fast 2:14.00 – a personal best – and goal accomplished. Audrey Tirrell, first alternate also brought her A game, placing THIRD overall, also with a personal best of 2:10.98. (Kids, take note of this story when you are an alternate!). Congratulations to everyone who swam at the 2016 MCSL Coaches Invitational Long Course Meet! A few double 1st place winners missed (I.e. Griffin Alaniz won Men’s 15-18 back and fly)! Good article!! Another double winner was Zach Bayler of Robin Hood (Boys 13-14 100m Breaststroke and Butterfly). Allison Wade (Hallowell) placed 2nd to Jaycee Yegher (Record Breaker) and is 15. Double winner correction: Anna Li swam Girls 9-10 50 breaststroke and Girls 9-10 50 butterfly. Great write-up! I love the shout out to the really young ones! Advertising in the meet program and the selling of products on site is limited to MCSL Gold Sponsors.